Provide your pup with a cold treat to alleviate the burden of the hot summer heat. 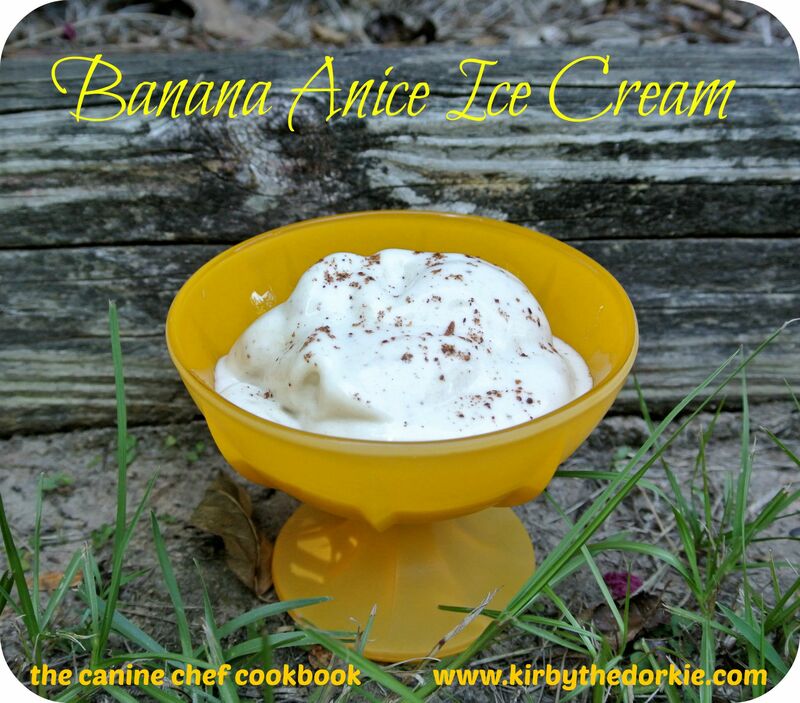 The Canine Chef, Kirby the Dorkie, is back with a low-calorie, low-fat dessert for dogs that is naturally nutritious. Provide this vitamin-rich frozen treat for your pooch with this easy-to-follow recipe. This treat includes anise, an herb that has a licorice taste most dogs go crazy for earning it the name “catnip for dogs’. Place the frozen banana in a food processor or blender. Blend until the bananas reach a creamy consistency like a soft serve ice cream. Sprinkle in the ground anise and blend to incorporate. This can be frozen for a month. Simply re-blend.